Home Web & Social Network How to download and install Internet Explorer safely? What is internet explorer ? Internet explorer is a web browser which comes with Microsoft windows operating system. However it’s not a default browser of Microsoft windows. It is one of the most widely used free web browsers of the world. You can download internet explorer with other add on software of it in the web pages of Microsoft for free. Till now internet explorer has released 11 versions of it. 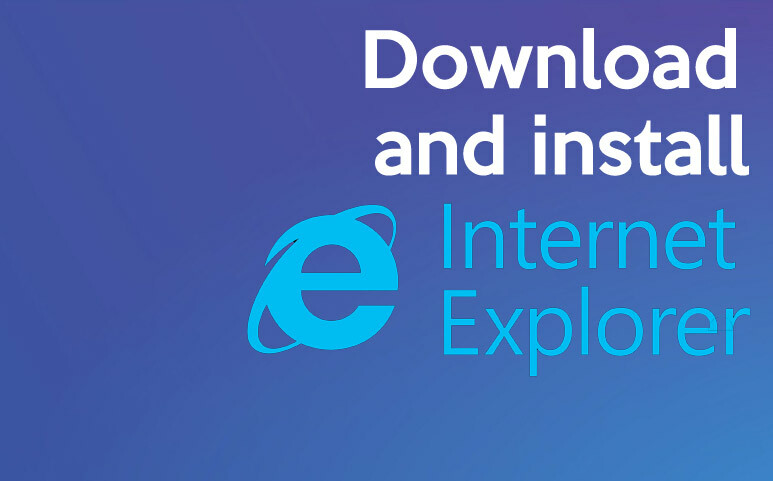 How to download Internet explorer latest version ? Internet explorer latest browser can be found in Microsoft download center. For this, one needs to open the Microsoft web site and search for the internet explorer. But for the current version of internet explorer, you must have the updated version of operating system in his or her computer too. The latest version of internet explorer cannot be opened with the older version of an operating system. Internet explorer 11 is the last version of this web browser which comes with Microsoft windows OS 8 and 10. Therefore if you already have these two operating systems in your computer, then you need not download the internet explorer 11. Computer having windows 7 operating system needs to download this web browser. Internet explorer 11 has many inbuilt features and tools. At present Microsoft windows OS supports only the latest version of internet explorer. Microsoft having windows 7 or higher than it support only the latest version of it. In order to download internet explorer 11, you needs to visit the Microsoft webpage and search for it or click here to direct access. There you will see ‘Get internet explorer’ box. You need to click on it. Below this box you will see another box asking you whether to make Bing your default search engine and MSN your default home page. Bing and MSN are two inbuilt features of internet explorer. If you want it then tick the box. And if you are happy with your current setting then do not tick that box. 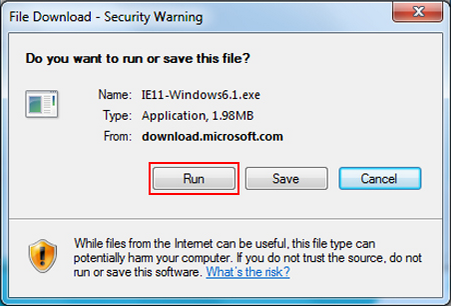 After that downloading will start and you will be asked whether to run or save the file. If you click on Run then installation will continue on its own. Once it is completed you may be asked to restart the computer. Once your computer is resumed the shortcut icon of internet explorer will be placed in your desktop screen and you will be able to browse by clicking on it. Internet explorer comes with some extra software’s which are known as Add on services of internet explorer. These make internet explorer faster, easier and less complicated. Bing bar is one of such add on. Advanced Internet explorer history bar is another such add on, which help the user to find the previous websites they visited. Speckie is another very important add on of internet explorer. It is spelling checker, which shows errors by underlining the specific word. Apart from these there are ‘The parental control bar’, ‘The free dictionary’ etc. which are installed with the internet explorer and make browsing easy. Previous articleHow to download and install Firefox safely?